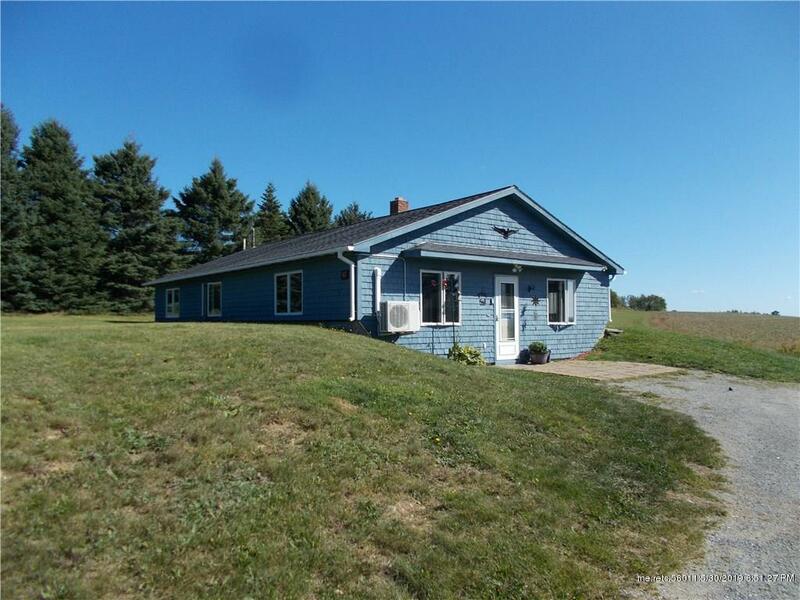 Move in ready home is located in Presque Isle, ME on the Centerline Road. Enjoy country views while being close to town. 3 bedroom, 1 bath with very large bedrooms and a large living room/kitchen. The home is extremely easy to maintain and efficient. 95% of heating and cooling will come from the installed heat pump keeping winter costs down. Brand new high efficiency furnace has been installed for water heating and backup to the heat pump along with a water softener. Property is just over an acre in size and features a fire pit and large Amish built shed for all your storage needs. All home maintenance has been done recently including well shocked and septic pumped. New furnace, water softener, flooring front door and fan in March, 2019! Call or text today!